When Switch is in portable mode, the resolution may drop even further to roughly 576p or less. However, the smaller screen certainly helps. The Switch version does sit below the PC version’s lowest settings. Texture quality has been reduced, for example. Lighting and ambient inclusion have been toned down on Switch as well, and screen space reflections are not present. Digital Foundry noticed color banding along with a low resolution for the HUD and menus. One issue Doom has on Switch is frame pacing, which can lead to a sensation of stuttering during gameplay. However, it could be addressed in a patch. The frame rate may also drop when encountering enemies. It seems more enemies on screen leads to bigger drops, which isn’t surprising. 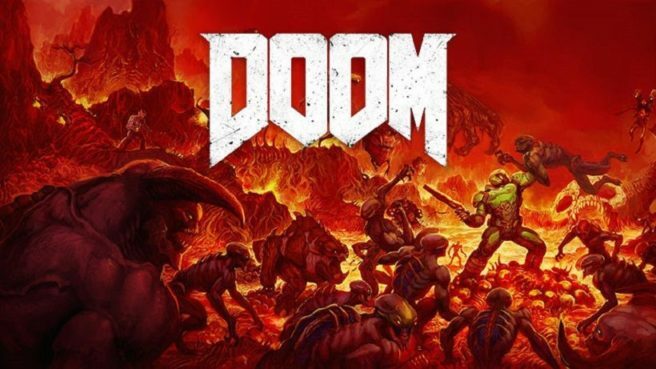 Doom actually manages to load more quickly than the PlayStation 4. A test from one of the game’s levels had the Switch version boot up about four seconds faster. Some of these aspects may sound disappointing. However, Digital Foundry does believe that Doom is one of the most impressive portable games that can currently be played. That’s a summary of Digital Foundry’s findings, but the site goes into much more detail. You can watch the full analysis below.